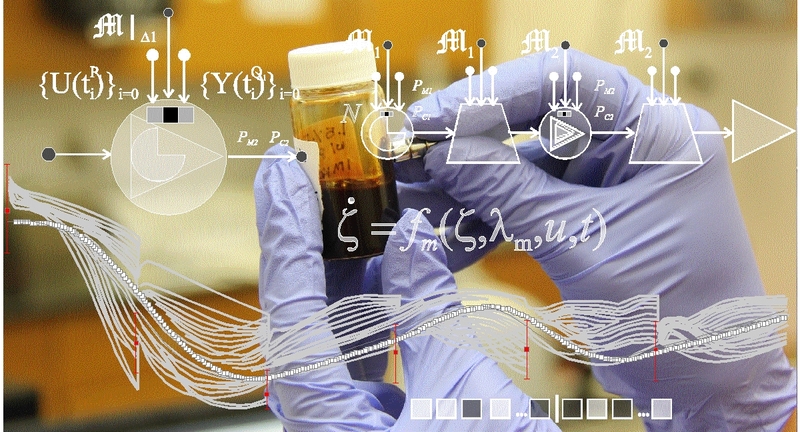 As a consequence of our activities, the Neuromathix project involves the international cooperation of cutting-edge researchers in a number of diverse fields: from endocrinology and pharmacology to aerospace-sourced machine learning and artificial intelligence, from clinical care of patients suffering degenerative diseases to the programming of sophisticated software applications. Some of these skills, particularly in mathematical modelling, control algorithm design and programming are available within Australia. Others are sourced from overseas. Like any other modern high-technology enterprise, our structure also involves expert legal and corporate advisers. Nigel is a mathematician and inventor of the Neuromathix technology and patents. Holding first class honours in pure mathematics and a PhD in differential game theory, he is a former Honorary Senior Fellow of the School of Mathematics and Physics at the University of Queensland. A former senior analyst in the Australian Government, he is experienced in running research programmes in both public and private sectors. He is one of Australia’s Spitfire Memorial Defence Fellows. In 2001, he founded NeuroTech Research Pty Ltd (NTR), which was awarded a Queensland Government Innovation Start-Up Scheme (ISUS) grant for the development of software to aid medication of a number of chronic diseases, leading to the Neuromathix software. The company was a member of the Queensland Government's i.lab Incubator, a technology incubator for promising start-ups. At that time practical deployment of the Neuromathix algorithms had to be delayed until cheap, scalable massively-parallel computing platforms became available. With the advent of NVIDIA's GPU computing architectures, a suitable computing platform now exists. In the interim, he began laying down a strong IP position in patents. In other scientific fields, he was awarded the 2004 and 2007 Spitfire Memorial Defence Fellowships by the University of New South Wales for ongoing research in machine intelligence in aerospace. Nigel is a director and CEO of Diabetes Neuromathix Pty Ltd (DNx), the spin-off company dedicated to the commercialisation of the Neuromathix artificial pancreas software. Since 2016, Nigel has been team leader of Team MachineGenes, one of the teams in the IBM Watson AI XPRIZE, showcasing the DNx technology. Professor Jenny Gunton is the main medical collaborator in Neuromathix's current development of prototype Artificial Pancreas software. She holds a Chair in Medicine at Westmead Hospital, Sydney. 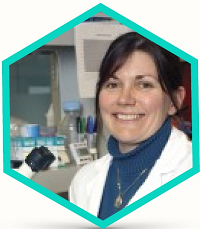 Previously she has been a Senior Research Officer and Group leader, Diabetes and Transcription Factors, at the Garvan Institute of Medical Research, where she was a JDRF/NHMRC Fellow. She is a former President of the Australian Diabetes Society. Her qualifications also include a post-doctoral Fellowship at the Joslin Diabetes Center and Harvard Medical School; a PhD from the University of Sydney; FRACP (Fellow of the Royal Australasian College of Physicians, subspecialty endocrinology and diabetes); and a MBBS (Bachelor of Medicine, Bachelor of Surgery). Jenny is also a director-elect of Diabetes Neuromathix Pty Ltd.
Dr Murray qualified in medicine and surgery from Charing Cross Hospital, London. 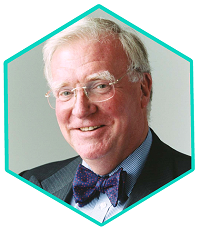 In 1986, Dr Murray co-founded, with Harry Stratford, Shire Pharmaceuticals Ltd, a company originally founded to in-license, develop, market and/or out-license prescription medicines for metabolic bone diseases with special emphasis on osteoporosis. At Shire, Dr Murray supervised the UK development of the first licensed treatment for Alzheimer's disease, tacrine. This was followed by galantamine, also for Alzheimer's (marketed by Johnson and Johnson as Reminyl). He also supervised the early development of Fosrenol. Shire Pharmaceuticals subsequently floated on the London Stock Exchange and became the UK's 3rd largest pharmaceutical company (at the end of 2007 it had an annual revenue of $US2,436 million). Dr Murray left Shire Pharmaceuticals in 1999 to set up Hunter-Fleming. Based in Bristol, this was a biopharmaceutical company focussed on novel treatments for degenerative disorders, with particular emphasis on Alzheimer's disease, spinal cord injury and neuropathic pain. Hunter-Fleming set up Trident Pharmaceuticals Inc in Boston USA with Advent International to focus on the development of a novel treatment for asthma that came from Bristol University. In 2008 Hunter-Fleming was acquired by Newron, a Swiss pharmaceutical company. Dr Murray has a broad experience of the pharmaceutical industry worldwide in clinical and preclinical research and development, strategic planning, licensing, marketing and sales support. His therapeutic areas of expertise include metabolic bone disease, gastro-enterology, dermatology and CNS disorders. He is on the Science and Industry Council of the South West of England Regional Development Agency. Special Adviser (formerly Director and Chairman of the Audit and Risk Committee), National Bank of Kuwait (International) Plc. Solicitor (articled to the then President of the Law Society of England and Wales), subsequently with Allen and Overy, International Nickel Company of Canada Ltd, Carre Orban and Partners, and Chairman, Disciplinary Appeal Committee of Chartered Institute of Management Accountants. Member, Court of the Drapers Company (Master 1997/98), and active with many other pro bono bodies including The Royal Hospital Chelsea (Chelsea Pensioners). Trustee of various bodies including The Thames Diamond Jubilee Foundation, The Mansion House Scholarship Scheme and The Lord Mayor’s Fund for Charities. Member, Council of the Imperial Society of Knights Bachelor. Co-author with Lord Sheppard and Bain & Co Partners of books on management including ‘Management Audit – the management of change’ and with Lord Lane of Horsell and Professor N.Graham Maw ‘On Corporate Governance’. Dr Burnet is founder and managing director of Synovo GmbH. He is a graduate of the University of Melbourne and the University of Adelaide (PhD Biochemistry 1992). He completed postdoctoral research at the University of Montreal, University of Florida and the Institute National de la Recherche Agronomique a Versailles. In 1998 he became a project manager at Zeneca (formerly ICI) in the UK. 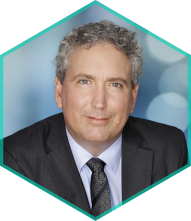 In 2001 he became the Chief Scientific officer of Sympore GmbH based in Germany, and in 2004, he founded Synovo, a preclinical services and drug discovery company based in Tübingen, Germany. In 2005 he founded Hi-Cap formulations Ltd to develop intellectual property in the field of controlled release formulations. Both companies are profitable and have licensed intellectual property to multi-national enterprises. Michael is currently spinning out an oncology-focused company developing immune modulators. Janelle Mason is a financial services executive with experience gained in the United Kingdom and Australia across a wide range of areas including relationship management, credit risk, product development, strategy and project management. She is Executive Director – Institutional and Corporate at ANZ. Janelle has held directorships across a number of boards and advisory positions in various industries. She holds a Masters Business Administration from the University of Hull in the United Kingdom and a Bachelor of Business from Queensland University of Technology. George is Associate Professor at the School of Biomolecular and Physical Sciences, Eskitis Institute for Cell and Molecular Therapies, Griffith University and lecturer in the School of Medicine, Princess Alexandra Hospital. With particular research interests in Parkinson's Disease, he was awarded a 2003 Brain Foundation grant as Chief Investigator, examining genetic and environmental interactions in Parkinson's, and has been heavily involved in research into Parkinson's Disease since 1997, with 27 peer-reviewed publications explicitly addressing aspects of the disease, including dopamine transport, genetic and environmental factors. He has also published on broader issues that impact on this project, including pharmacokinetics, hepatic elimination and bioinformatics-based analysis. His bioinformatics experience includes being Team Leader/Visiting Fellow to the Center for Genomics and Bioinformatics at the Karolinska Institute in Stockholm, and his involvement in the application of neural networks for detecting high-order gene-gene interactions. New members of the Advisory Panel for Diabetes Neuromathix will be unveiled shortly. Copyright © 2007-2019 NeuroTech Research Pty. Ltd. / Diabetes Neuromathix Pty. Ltd., all rights reserved.